What could you accomplish if you had a dedicated research department ready to take on any inquiry you care to throw at it, 24/7? Say this research department was poised at any time to produce a full report on any topic you care to throw its way -- analyzing any subject, making any weird calculation or comparison -- and producing a full editable report. Sure, that kind of service is available, but it's going to cost you. And then some. How much? Wolfram Alpha has made some fairly big strides in its few short years of existence, but the so-called computational knowledge engine has now rolled out what founder Stephen Wolfram says is the "the single most important development for Wolfram Alpha since the original website launched in 2009." 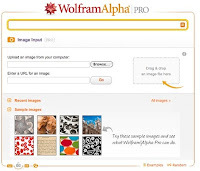 That development is Wolfram Alpha Pro, a new premium service that will run you $4.99 a month (or $2.99/month for students) and give you access to a wealth of new options for both input and output. On the input end, you can now upload images, audio and other files (over 60 types in all) for automatic analysis and a detailed report -- according to Stephen Wolfram, the ultimate goal being "to do what a top data scientist would do if given the user's data." As for output, you'll now be able to take advantage of a number of richer download options, including the ability to interact with and tailor the reports to your liking. 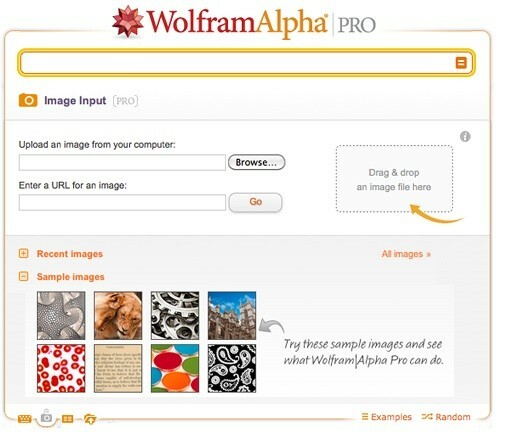 I've often wondered how they would go about monetizing Wolfram Alpha. This looks like a very interesting approach. Stay tuned.